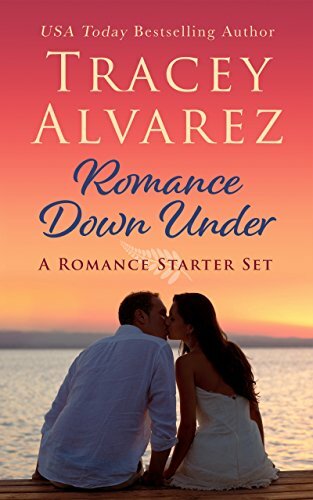 Read the first two full-length, standalone romance novels from USA Today bestselling author Tracey Alvarez’s Stewart Island and Bounty Bay series. Piper is haunted by the ghosts of her past. As an elite police diver, she finds herself forced back to the one place she’d sworn never to return. West lost Piper years ago. She left their small hometown on an isolated New Zealand island, and he stayed behind. Desire and tempers flare when their paths cross again. Can Piper find her way back to the man who broke her heart? Book 1: Hide Your Heart. Featuring Lauren and Nate. Book 2: Know Your Heart. Featuring Savannah and Glen. Book 3: Teach Your Heart. Featuring Gracie and Owen. Book 4: Mend Your Heart. Featuring Natalie and Isaac. Book 5: Break My Heart. Featuring Vanessa and Sam. (Coming soon).